Cycling and especially mountain biking is one of the best ways to see our region. Taking in the wonderful varied scenery of our beloved North East from the cyclist’s saddle is one of life’s great pleasures. Travel from village to village, town to town and watch the delightful changes in the region’s rolling scenery mile by mile. Head along rural riverside routes into industrial heartlands, take in lovely country roads or try out the course of a former railway route at your own leisurely pace. Simply marvellous! Sure, you can do some of these things from the comfort of your car but can you take a break without the headache of finding a parking space and can you go ‘off road’, away from all the traffic? Cycling is great because you always feel that you’re part of the outdoors, rather than just passing through within the confines of a wheeled metal box. That feeling of being part of the scenery is something that you never quite get from inside the car, even when the window is wound right down. Scenery from a recent Durham to Sunderland cycle ride. Photo: David Simpson. Best of all though, cycling keeps you fit, in both mind and body. Mentally, I’m at my sharpest and happiest when I’ve been doing lots of cycling and it’s really invigorating. Walking, running or team sports might work for you but it’s cycling for me. It works well with my lifestyle and interests: my love for history, for taking photographs and a passion for the region’s varied landscapes makes cycling the perfect fit. Now let’s be clear, I’m not one of the Lycra brigade. No, no, no, when I’m out cycling, I prefer skinny, stretchy jeans, old trainers, a long-sleeved shirt plus a jumper or fleece in the backpack just in case it gets too chilly. That’s more my scene. Purists might frown on this but that doesn’t bother me, though I should say a helmet is always a must. Taking something high-viz too if you’re going to be out in the twilight could also be wise and don’t forget a spare bottle of water or squash and a snack to keep you going if you feel peckish en route. No, it’s not about the streamlined look or the speed for me. Don’t get me wrong, I understand the thrill of the racing bike fraternity whizzing through the blurry countryside constantly improving on their best times, clocking up mile after mile on twisty roads and climbing hills with endless motor cars for company. There’s plenty of great scope for that activity across the region and I am sure the exertion is exhilarating but it’s not really for me. I’ll often ride more than thirty or forty miles a time on the mountain bike but sometimes I’ll just go for twenty or a modest ten or perhaps even six or seven miles just to get out of the house. The more miles you do though the easier the distances become. I don’t mind cycling on the road some of the time but more often than not I head off along one of those superb off-the-road cycle paths that crisscross our region. Many of these routes are the legacy of Dr Beeching, the man who closed so many railways back in the sixties, but that was due to the burgeoning growth of the motorists. I don’t suppose Beeching ever envisaged the growth in popularity of cycling though many of the cycle ways he has unwittingly created, from old railway routes, provide ideal and relatively easy going paths that often stretch for many miles. It all makes sense: those routes were designed for steam locomotives that wanted to avoid steep hills and take the easiest routes. All good news for leisurely cyclists like me. 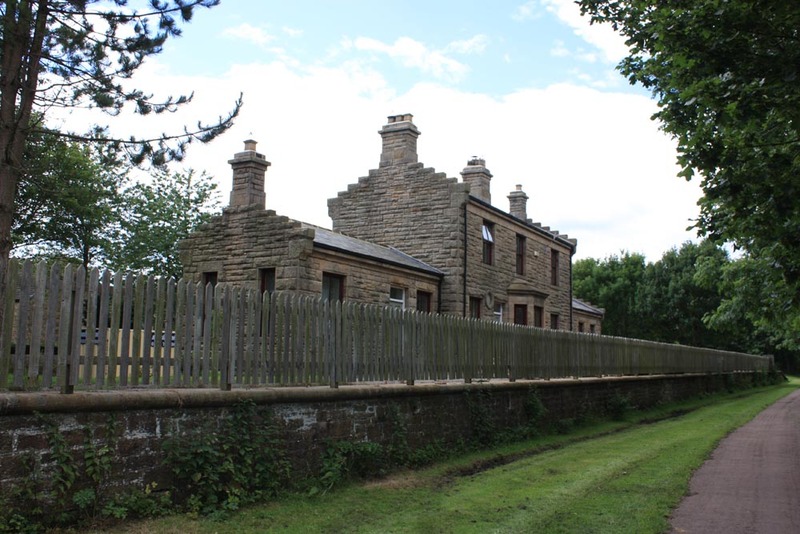 Old railway routes converted into long-distance paths are one of the great gems of our region’s countryside and are great ways to get out and about in the North East. In recent rides I’ve headed out in various directions using a village near Durham City as a base. 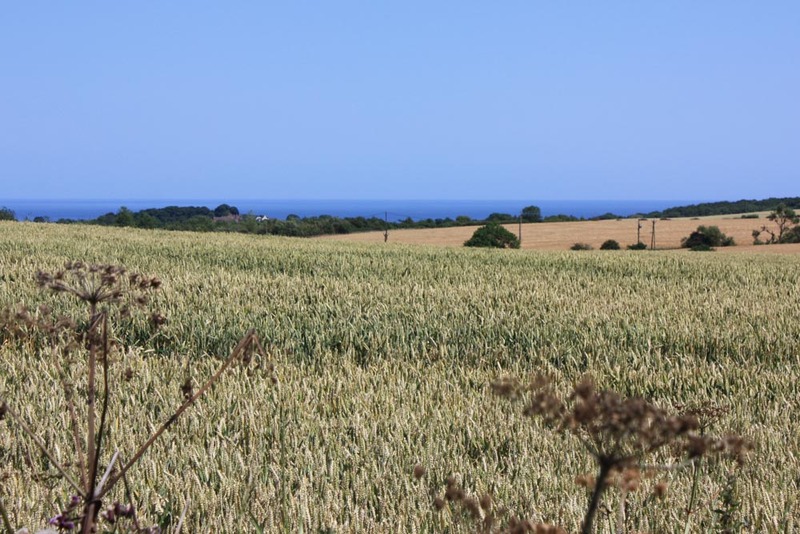 The other week I cycled from Durham into Sunderland through lovely countryside with views of the sea along the way. Surprisingly, much of the track through Sunderland itself encompasses fields, trees, parks and even a lake. Except for the occasional glimpse of a block of flats nearby, you barely notice you’re in an urban environment until you eventually emerge in the city centre and then after crossing a couple of main roads at pedestrian crossings you head over the Wearmouth Bridge and back into the countryside along the banks of the River Wear – though I took a brief diversion to the river mouth first just to see the sea. 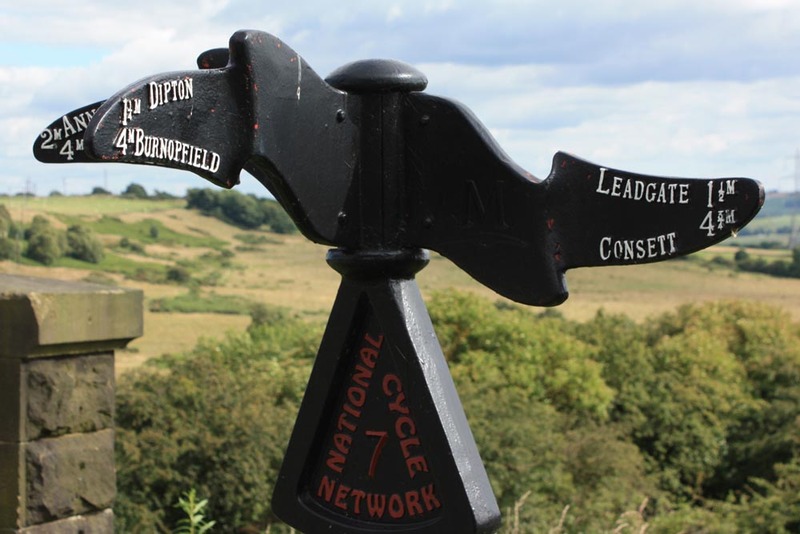 In County Durham there are pathway ‘hubs’ that provide good centres for exploring various walking and cycle routes where railways once ran. Broompark, just west of Durham City is one such hub. There’s parking there and a picnic area too, so you can take your bike along on the car then make your way by bike along a choice of three routes. I’ve tried all three. One heads along the pretty wooded valley of the little River Deerness to Esh Winning and on towards a place called Stanley Crook and another heads north along the Browney valley to Lanchester and then on towards Consett. The third heads south to Bishop Auckland culminating in a good view of the Bishop of Durham’s home town that can be reached across the Newton Cap Viaduct. Perhaps the major hub for cyclists in the North East is Lydgetts Junction at Consett, arguably the central hub for all North East cycle paths. 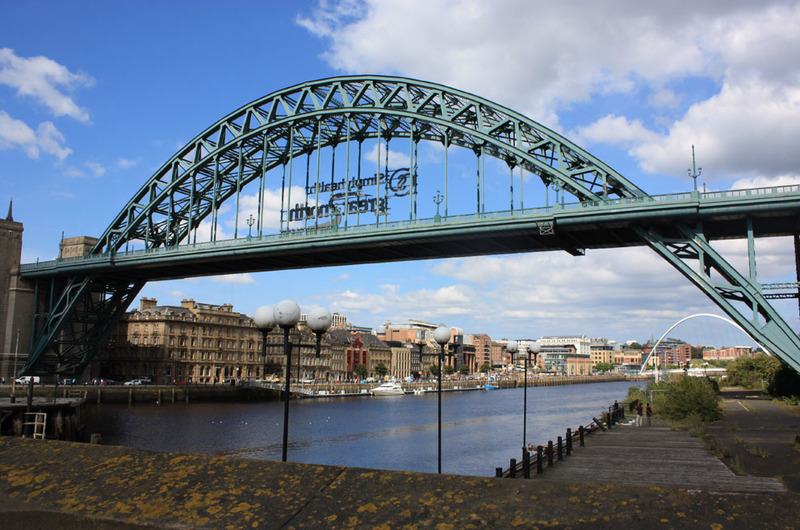 Here routes head out to Newcastle and Tynemouth, south into Durham, east to Sunderland and west all the way to Cumbria via the splendid Hownsgill viaduct. It’s always good to combine parts of routes and even improvise with a bit of research beforehand. Recently, I headed out from my village base east of Durham City to join the Deerness route at Broompark but then left its course at Esh Winning to make the steep climb by local roads through Quebec and Cornsay Colliery to lovely Lanchester. There, joining the Lanchester Valley route to Consett I joined the C2C route at Lydgetts Junction – with its impressive art installation sculptures along the way – as I continued through Leadgate, Stanley, Beamish and Pelton where I improvised in a descent into Chester-le-Street on my way back to my village base completing about 44 miles. Many routes link in with the longer-distance coast-to-coast cycle paths like the C2C (sea to sea) route I have mentioned. This route links the coastal Cumbrian towns of Whitehaven, Workington and St Bees to Sunderland, South Shields and Tynemouth. 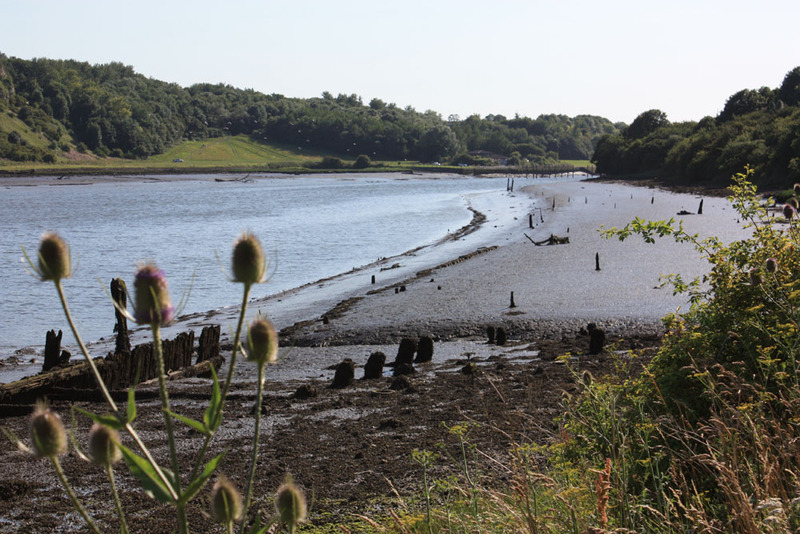 An alternative cross-Pennine route is the W2W (Walney to Wear) route linking Walney in southern Cumbria to Sunderland, part of which we followed on our recent ride from Durham to Sunderland. The great thing is, you don’t have to stray far from the cities to enjoy great cycle rides. 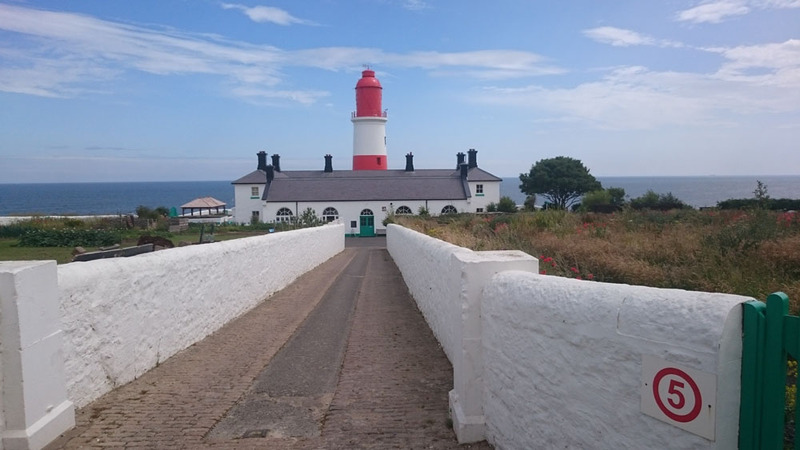 There are good cycle rides around Stockton and Hartlepool into the fringes of the County Durham countryside for example and in Tyne and Wear there’s a particularly enjoyable coastal ride from the mouth of the Tyne to the mouth of the Wear – and back. 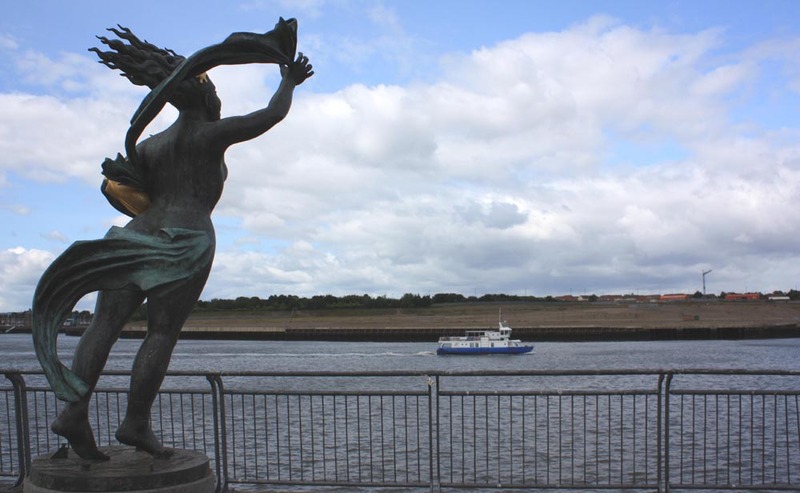 You can cycle along the bank of the River Tyne all the way to Wylam and then back along the other side of the river and once you’re back at the beginning there’s no extra charge for taking cycles across the Shields ferry to reach the other side. Superb cycling can be found in Northumberland too, often with the Cheviots serving as a wonderful backdrop with some routes taking in coastal areas and castles. A cycling friend of mine recently tried out a circular route from Wooler across to Holy Island which looks appealing. 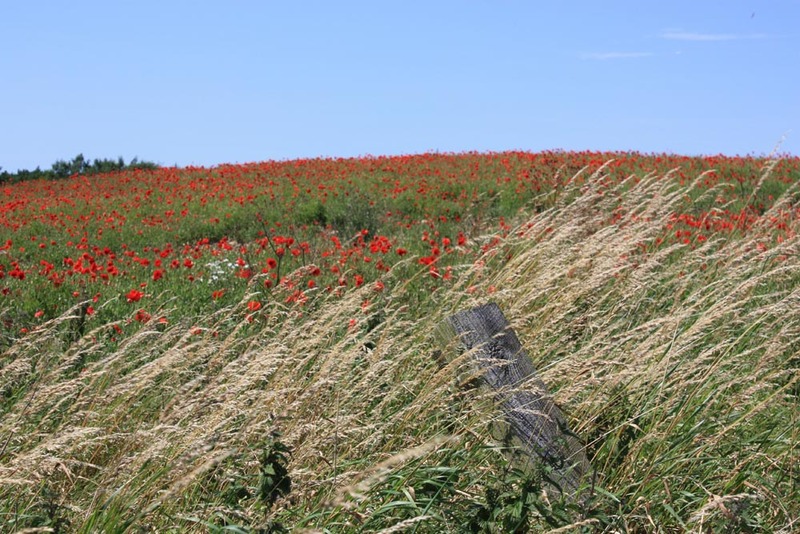 In North Yorkshire the Vale of York and Vale of Mowbray around Thirsk and Northallerton offer relatively gentle cycling with gradual climbs into the Yorkshire Dales to the west or challenging cycling in the North York Moors to the east. Sustrans provide a useful zoomable map of all the major cycle routes in the region (see the links below) but it’s also worth checking out the region’s woods and forests that can appeal to thrill-seekers or those who just want to take a cycling stroll. Hamsterley and Kielder for example have superb mountain biking trails to explore. Whatever kind of cycling you do, it’s always enjoyable to keep a record of your routes, speeds and distances mile by mile, to see how much you’ve ascended and descended and how many calories you’ve burned. It’s a satisfying way to round off a good cycle ride. You can post the details on social media too and it’s a good way to log your progress and share with others. That’s all part of the fun and can be facilitated by downloading great route-tracking GPS apps like Endomondo, Strava or Mapmyride to your mobile phone. It’s always good to review your times and distances, when you get back to base, and to check your best and slowest lap, though often, I find, I’ve lost more than an hour or so stopping to take photos or admire the beautiful views along the way. I’m certainly not going to complain about that. 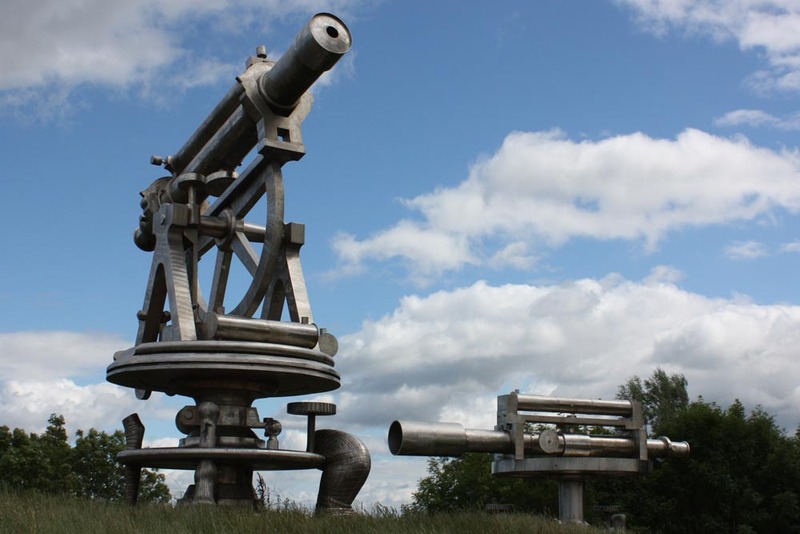 We’ve been out on the bike again (the day after this blog) this time from Consett to Newcastle and back (38 miles) taking in the Derwent valley and Tyne riverside with Lydgett’s junction as our starting base. Another lovely route. Check out our sunny day of cycling photos of the Derwent Valley here and of Newcastle-Gateshead here. Railway-paths in County Durham (for cyclists, walkers, runners, horse riders and wheelchair users) with downloadable pdfs of maps and route features. 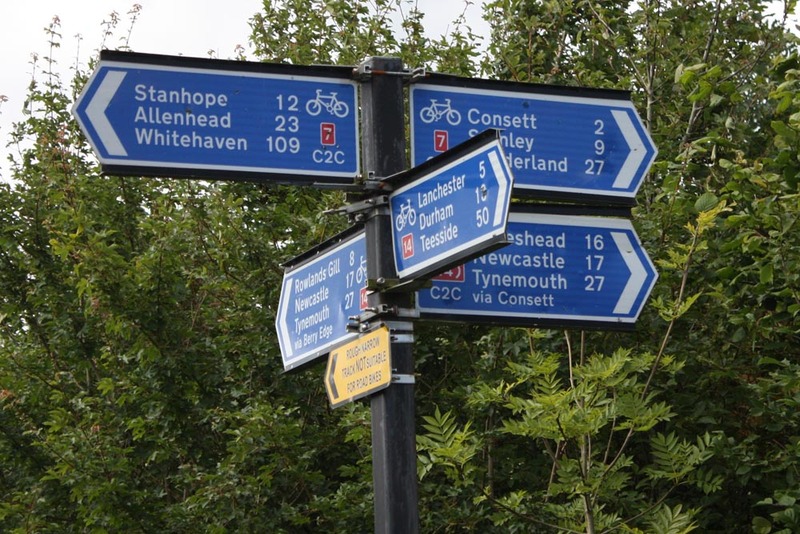 Sustrans C2C Cycle Route and other routes throughout the North East of England. www.cycle-route.com Has an astonishing choice of suggested cycle routes. Select by nation and county for an extensive list of routes with map details. Cyclists on the Shields ferry: www.nexus.org.uk/ferry/guide-ferry Large groups of cyclists should contact the ferry in advance.